Whitby Optical was voted as Platinium (2011) and Gold (2010) winners of The Readers Choice Award for best optical dispensaries in the Durham region. We appreciate your support and we strive to serve you even better. Recently been voted as the Best Optical Dispensary in the Durham region by the Durham Business Magazine for the year 2011.With our commitment for exceptional serivce we are proud to bring to you the best in the eyewear industry to cater to all your vision care needs. Our dedicated optician and the staff are committed to providing the highest level of customer service and the focus is on each customers unique needs. We are proud to say we continue to live our commitment to our customers, coworkers and the community every day, the same way we have for twenty seven years. We have three qualified and experienced Optometrists serving our location on Tuesdays, Wednesdays and alternate Saturdays. We would like to thank all of those who voted us as their Top Choice! 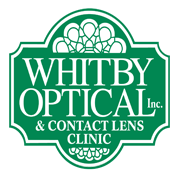 Are you the owner of Whitby Optical?